WordCamps are the WordPress Community gift to those creating WordPress websites whether you are a beginner or highly advanced. Tickets sell out very fast so if you hear of one in your area be sure to register quickly. You should also take advantage of WordPress meet-ups in your area. No other website platform community has nearly the breadth and strength of this one. 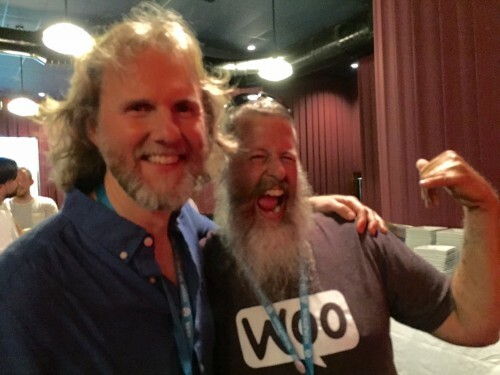 I had the great pleasure of attending WordCamp Miami May 30-31st. I have previously attended WordCamps in San Francisco, Los Angeles, Orange County and New York City. WordCamps are always well worth my time as well as my expense to travel to the city they are held in. Alex Vasquez, one the organizers for WCLAX found this excellent article by Anil Gupta on how to get the most out of a WordCamp. I have spoken at many conferences. This is my first time to speak at a WordCamp and I am very excited to have the opportunity to give back to this wonderful community. on Social Media Marketing Tips to Boost Your Online Reputation and Your Prosperity. 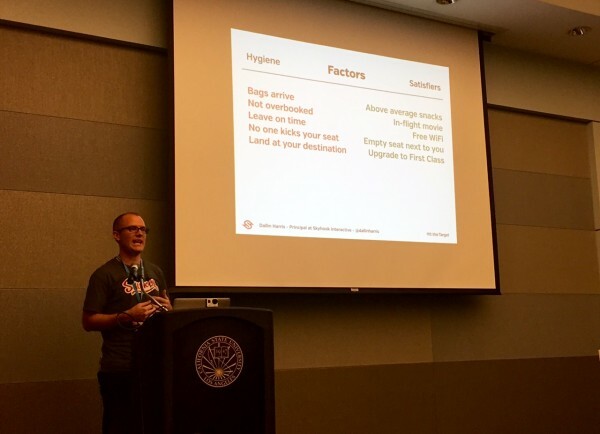 This is Business Advice for WordPress developers, an area that has expanded recently at WordCamps. There is always a track that is devoted to coding and more about WordPress itself. 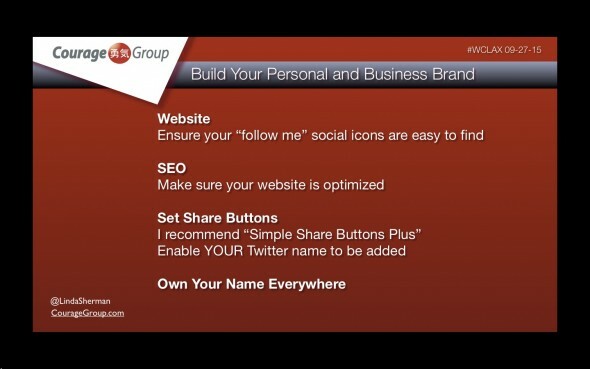 Please click here for Online Reputation Social Marketing with Twitter Tips presentation slides and notes. Please note that links to my other websites are in the top navigation tabs of this site. I’m sorry that I had to miss Jordan Quintal’s presentation on accessibility which was on at the same time as mine. There were other tough choices. Almost all of the presentations I did get to see were extremely useful. Great job of selecting speakers Greg Douglas! And overall kudos to Alex Vasquez, Natalie MacLees and Adam Silver! I have been to WordPress meet-ups in Orange County, LA, NYC and San Diego as well as WordCamps in Orange County, LA, NYC and SF but I had never attended a WordPress Miami meet-up, so I was not familiar with their community. I was in for a pleasant surprise. I grew up in Miami. I lived there from 4 to 19 years old. Miami has vastly changed and I most often notice that the most when I visit. But this WordCamp felt like a home coming. At the Saturday night party, Karri Cole came up to John Niernberger and I. She said ‘I am so happy to be with My Tribe’. John and I strongly agreed. Here we were with people who not only spoke our language, WCMIA truly felt like a meeting of kindred souls. Karri is a very special presence, beautiful, smart, bubbly and spiritual all at the same time. She was also a strong reflection of the entire mood of WCMIA. At some WordCamps, from time to time, you get the sense that the “cool kids” only want to hang out with each other. I can understand that. 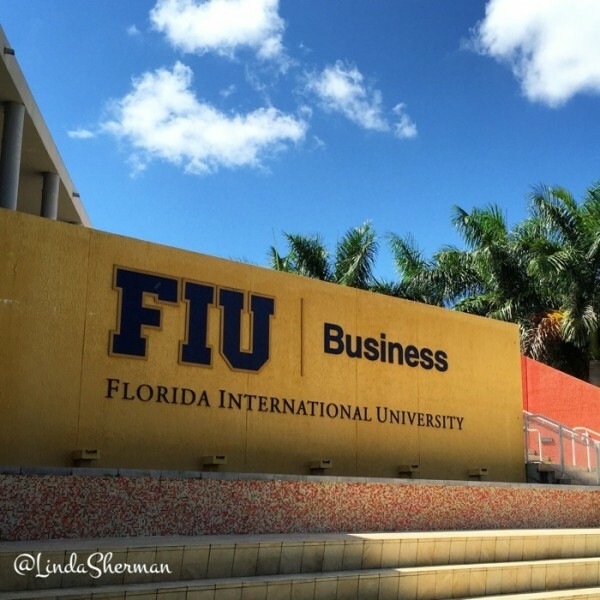 But at the same time, I think everyone enjoyed the all-inclusive vibe at WCMIA 2015. Everyone was with everyone. This was greatly helped on Saturday night by having a buffet available at the WCMIA party venue (Thank you to Pantheon for sponsoring this party) and not trying to make it into a drunk fest. (Good to hear that there will be food at the Saturday night party at WCLAX!). Most everyone was there, since there was food. People were more than willing to buy their own drinks. The music was at a level that we could talk. It was more like the Saturday nights at the Automattic headquarters (San Francisco) WordCamps. (The San Francisco WordCamp has been replaced by “WordCamp US”. It is in Philadelphia this year and will be moving from city to city each year in the future). WCMIA was very well organized. They had live streaming going for every session. The archives stayed up for a few weeks which was nice as it always takes some time to get videos up on WordPress.tv. It seemed that I kept meeting people that I was meant to meet. To be honest, there may have been some effect from having grown up in Miami. (I left when I was 19). But I heard this from other people as well. While it seemed mystical at the movement, I think when you are in a certain zone, everything that happens just feels like it was meant to be. 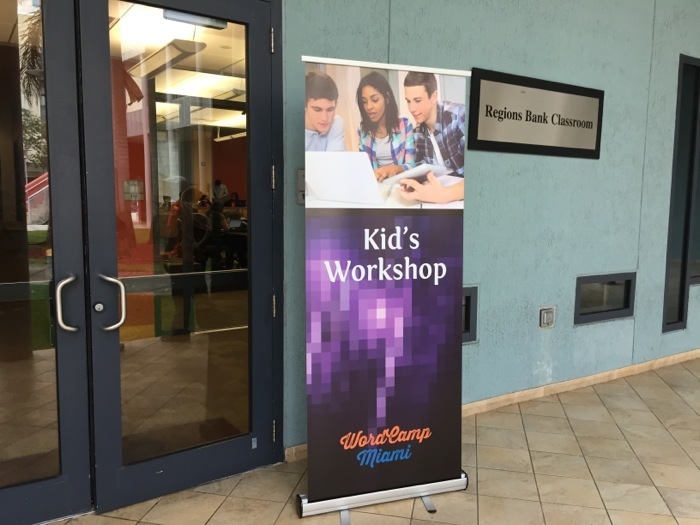 At WCMIA, on Sunday, there was a Kids workshop (age 8 to 13) from 10am to lunchtime and they were invited to visit sessions during the afternoon. Morten Rand-Hendriksen, who also teaches classes on Lynda.com (Lynda is now owned by LinkedIn) gave a WCMIA presentation that got special buzz because the attendees refused to leave the room. Morten is funny and smart and you don’t need to be tech savvy to understand what he is saying about website design. A big point that Morten made was that only a handful of sites actually make money off of those banner ads you might host on your site. Unfortunately, Huffington Post and an increasing number others now have those hideous “related post” ads on their sites with embarrassingly bad articles they get paid for your clicking on. If there is a graphic with a related post you can bet it is one of these things. When the publisher of the website you chose to read content on presents real related posts to you they won’t have graphics, they will just be links. It’s a little early to demand that your designer put the menu on the bottom of your mobile design as Morten suggests that is where it belongs for mobile but that may be available in the future. What he says about advertising on your website is very important. People do not want to see ads on your website. Rather than posting ads on your website, sell a service or a product, use it to boost your reputation. Morten Rand-Hendricksen also provides the links from his talk. 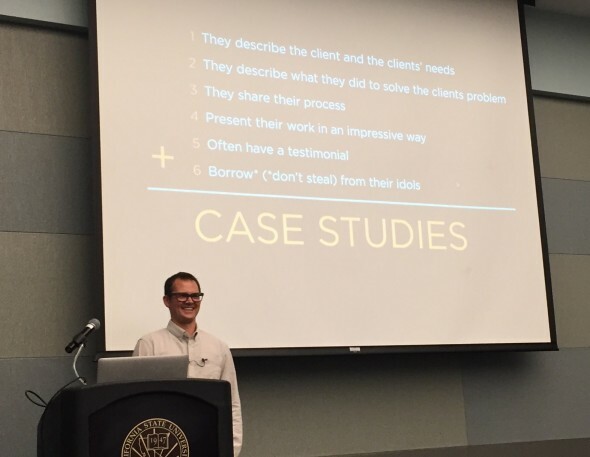 At WCLAX, Andrew Bergeron @visualrhythm gave an excellent UX/UI Design presentation Saturday morning. In this section he spoke about building case studies. 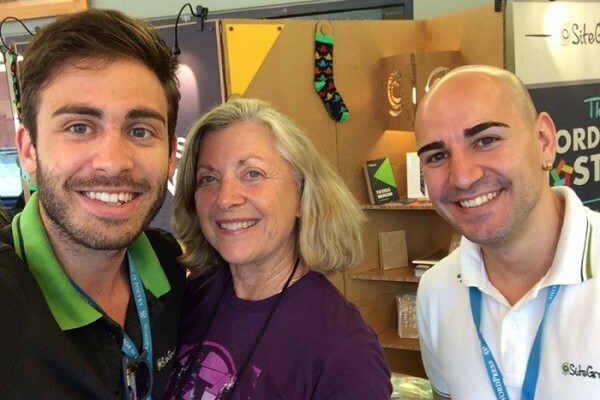 Customer Service is an area of importance to many who participate in WordCamps. If you care about Customer Service, participate in Marsha Collier’s #CustServ Twitter chat on Tuesday 6pm PST. At WCLAX, Dallin Harris gave a great Customer Service presentation on Saturday morning called Hit the Target: Client Satisfaction and Profitable Projects in One Easy Step I’ll come back and give you the link to it on WordPress.TV The chart in this slide uses Frederick Herzberg’s Motivator Hygiene Two-Factor theory. 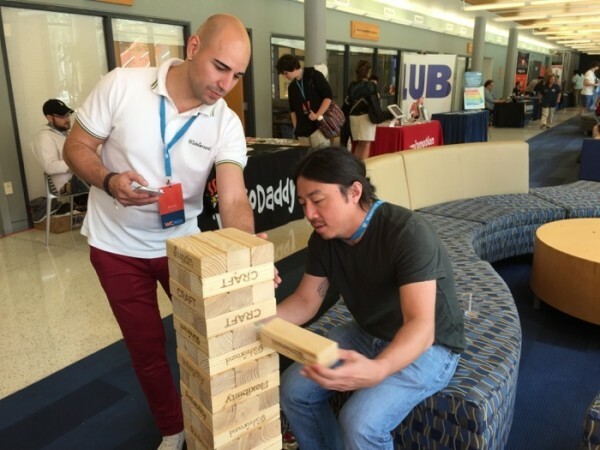 Of course, the developer’s track at WCMIA was cooking as well. Here you can solve issues with your website and get questions answered by volunteers. At WCLAX, thank you to Joel Williams, @BlogTechGuy for working with me on 100% width settings. Sponsors are always very much appreciated at WordCamps. SiteGround has been steadily rising in popularity. I had recently moved a number of sites there and was happy to see them. They had a Jenga contest going at WCMIA. The goal is to pull out as many blocks as you can without the stack collapsing within 60 seconds. They have it again at WCLAX – so give it a try!! 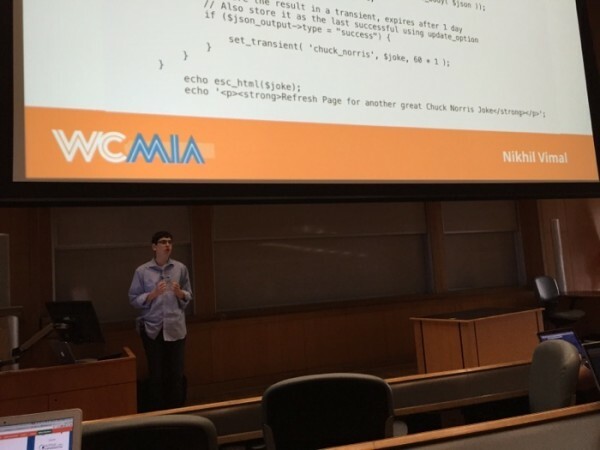 WCMIA was very well organized. I don’t know if David Bisset and his team did it on purpose or not but the time of year for visiting Miami seemed perfect. Late May was decent weather but not low tourism time. My rental car was the cheapest I had ever gotten there. They arranged discounts on nearby hotels early in the process. I was very pleased with my Hampton Inn experience. WordCamp Los Angeles WCLAX is being held at Cal State University Los Angeles. Universities are perfect venues for WordCamps because of the classroom setup and the wifi. It is always a challenge to get as much space as we want though. And of course the schools have to consider parking allocations.